Five young women are blazing a new path forward as inaugural participants in the Companions on the Way program. 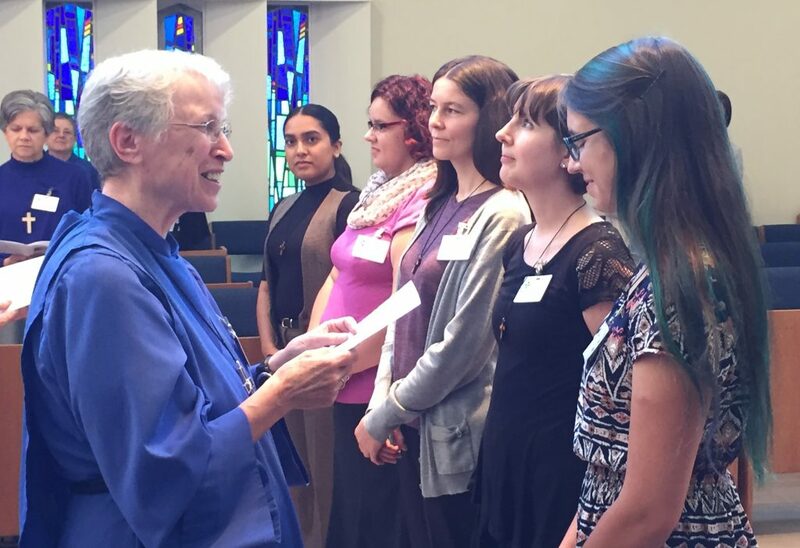 They have officially commenced a year in residence living alongside members of the Sisterhood of St. John the Divine (SSJD) at their convent in Toronto, Ont. 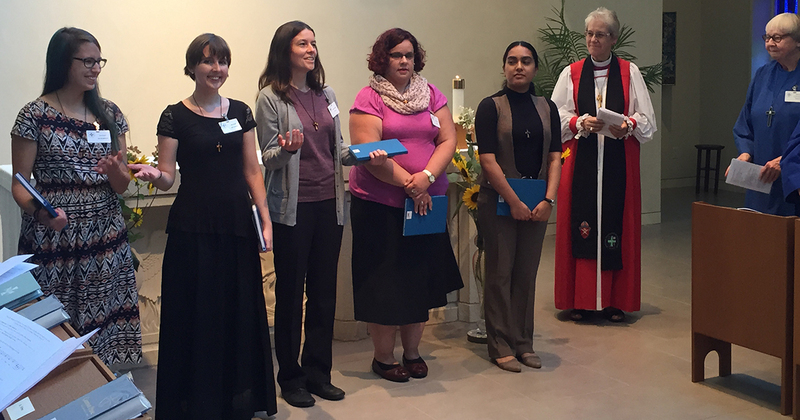 On Sunday, Sept. 11, the sisters, joined by Bishop Linda Nicholls, officially commissioned the five Companions: Alisa Samuel, Amanda Avery, Christine Stoll, Hanné Becker, and Sarah Moesker. Throughout the next 12 months, the Companions will share the daily rhythm of the sisters’ life by engaging in regular prayer, Bible reading, and reflection; focusing on study and work projects; and contributing to a monastic community rooted in spiritual growth and transformation. Education opportunities include participation in courses offered by the sisters and Wycliffe College. Work projects range from helping the ministry of hospitality in the Guest House, where they will reside, to serving as spiritual care visitors at St. John’s Rehab, assisting in various administrative tasks, or working in areas such as the library, chapel, or kitchen. The Rev. 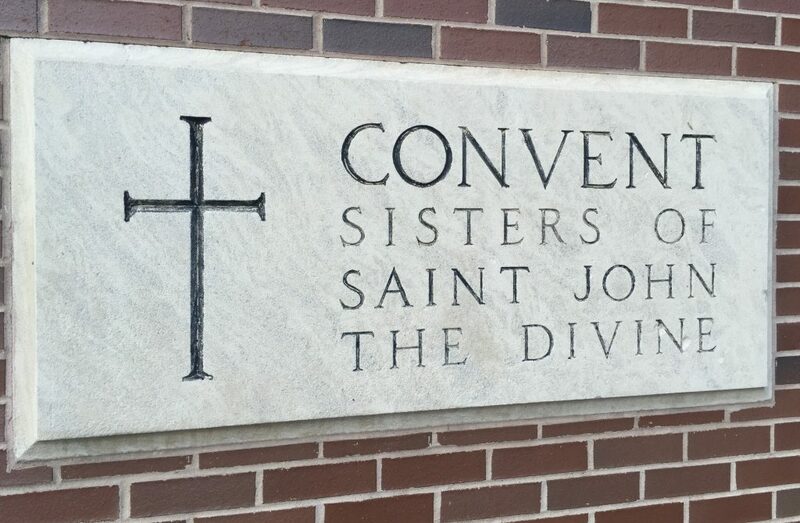 Sr. Constance Joanna Gefvert, SSJD, described Companions on the Way as a “new monastic community within a traditional monastic community,” reflecting a larger new monastic movement across North America. Each of the Companions, despite their varied backgrounds, saw participation in the program as a way to continue their personal spiritual journey. Alisa Samuel, the daughter of a Catholic mother and Protestant father, attends St. Jerome’s Roman Catholic Church and New Covenant Church in Brampton, Ont., where she works in customer service and studies piano. Amanda Avery, currently pursuing her M. Div at the Atlantic School of Theology, is the director of the Ready-Set-Go program, which benefits low-income pre-schoolers in Halifax. Christine Stoll, originally from Austria, has been living in Canada for the past 15 years and serves as a math teaching assistant at Douglas College in Port Coquitlam, B.C. Hanné Becker, a Namibian-born Canadian organist who grew up in the Dutch Reformed Church, recently completed a master’s degree in musical performance at the Schola Cantorum Basiliensis in Basel, Switzerland. During her studies at the Swiss school, she spent a year living with two sisters in intentional community. “The experience was really transformative to me and my faith, and also I started to get the desire to serve God in a way that he wants me to,” Becker said. She described the deep faith and reliability of the sisters as an inspiration to join the Companions on the Way. Sarah Moesker, a student at Canadian Mennonite University and a member of St. Benedict’s Table at All Saints Anglican Church in Winnipeg, Man., originally hails from Rocky Mountain House, Alta. She felt compelled to join the Companions as her time at university drew to a close. Bishop Nicholls presided over the official commissioning of the Companions, offering reflections at the evening worship service and bringing greetings from the Community of St. Anselm at Lambeth Palace, which helped inspire the Companions on the Way program. “This is stepping out into new territory,” Bishop Nicholls said. “It’s part of what I think the church is being called to do—to step out in new ways, and the sisters are just showing us that it’s possible. While the Companions expressed excitement at sharing and learning from the structured life of the sisters, many of the sisters were equally enthused at the chance to learn from the young women who would be joining them at the convent. Sr. Doreen McGuff, SSJD, concurred, while pushing back against negative stereotypes of millennials. “For me, having young people come and live with us—young people who’ve chosen to do this, young people who are searching and seeking for some kind of relationship with themselves and with God—is going to be a real blessing,” Sr. McGuff said.